Swami asked two devotee doctors to rethink the common medical concepts about diabetes, heart disease and chronic fatigue syndrome. It was in February, 1999. Below is the conversation recorded by Dr. Venkata Kanubaddi. 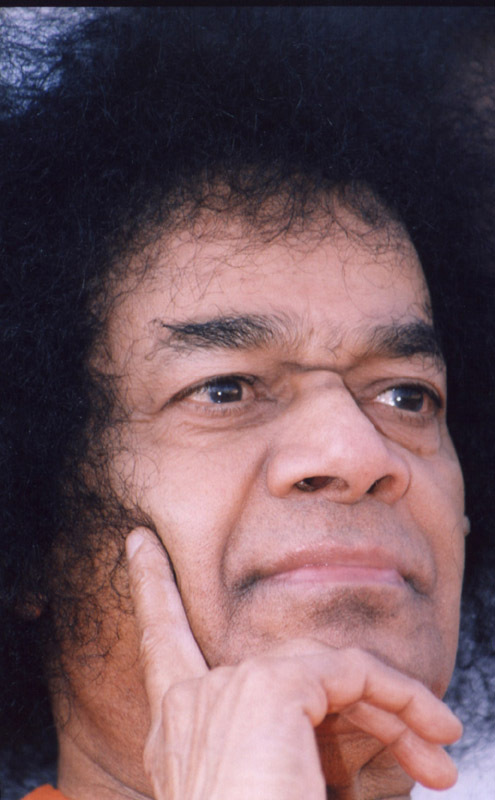 The topics have the same actuality today and Swami's directions are instructive for everyone. Swami: "What is the treatment for diabetes?" Doctor: First diet, then exercise, next pills, and insulin last, Swami. Swami: Insulin can lower blood sugar very quickly. Then the patient can get sweating and decreased blood pressure and can go even into coma. It is best to avoid insulin, if at all possible. Tablets are okay. What is the cause of diabetes? Doctor: Pancreas is the problem, Swami. Swami: Pancreas is not the real problem. It is mainly wrong diet and lack of exercise. People in South India eat excess rice. People in North India eat excess wheat. Both can increase blood sugar very quickly within half an hour after eating. Because people in the South do not like wheat much, they should eat chapathis [a wheat flat bread]. That way they don't overeat rice. Similarly, people in North should eat rice. That way they do not overeat wheat. On the other hand, if you eat corn or ragi [a relative of millet], blood sugar will rise slowly over two to three hours. The body can manage such a slow increase very well, and then diabetes will not be a problem. People should not eat as their tongue dictates. The tongue has 48,000 taste buds. Improperly used, they can cause sugar craving and lead to diabetes. The senses have to be regulated for good health. There is some genetic cause also for diabetes. Doctor: Yes, Swami. Latest research also is confirming this. Is there anything that Swami doesn't know! Swami: How is your mother? Doctor: Her diabetes is better, but she has arthritis. Swami: What is her blood sugar? Doctor: She checks it herself, Swami. Swami: You are the doctor and you don't even check your own mother! These doctors nowadays don't treat diabetes properly. Best thing is diet control and exercise. For diabetes, green leafy vegetables are good, except cauliflower. Cabbage is good. All fruits with black seeds like apples, pears, grapes, watermelon, etc., are good, except custard apple (as it has too much sugar). Papaya is good. Avoid all roots, especially potatoes. What else are you doing? Doctor: Research for new medicines for treatment of diabetes, Swami. Swami: The best thing is diet and exercise. What is the cause of heart disease? Swami: No, it is "hurry, worry, curry." Too much hurry causes worry and stress--not good for heart! See Swami (Baba refers to himself), no health problem! Avoid too much oil. Eating garlic daily can reduce cholesterol. Almonds without peel can also reduce cholesterol. Soak them in water overnight, remove the peel, and eat in early morning. Doctor: Isn't garlic rajasic food, Swami? Is it not bad for spirituality? Swami: Body health first; these gunas (inherent qualities) and spiritual health come next. Without a healthy body, you cannot proceed on the spiritual path. Doctor: How does one control blood pressure, Swami? Swami: Reduce salt. Less salt, less blood pressure, more salt, more blood pressure. Doctor: Nowadays, there is a new disease called Chronic Fatigue Syndrome. Patients complain that they don't have any energy to do anything. What is the cause, Swami?